Second game in the league and second win for Zinedine Zidane's men. 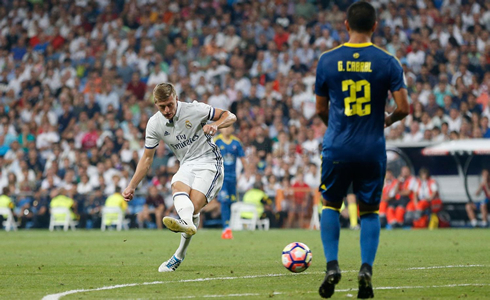 Real Madrid hosted Celta de Vigo at the Bernabéu and beat their opponents 2-1, thanks to second half goals from Álvaro Morata and Toni Kroos. The performance wasn't exactly pleasant to the eye, but at the end of the day, Real Madrid collected the 3 points and remains on the top of La Liga standings. 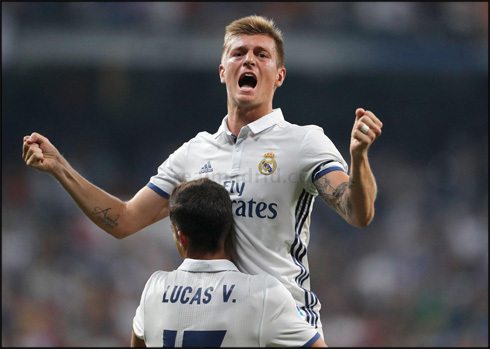 The Merengues got the better off Celta de Vigo in a 2-1 win at the Santiago Bernabéu, but the home fans had to wait until the final 10 minutes of the game to see Toni Kroos scoring the winning goal and allowing Madrid to earn the 3 points in dispute. With Cristiano Ronaldo still sidelined for the second straight game in the league, Zidane was certainly happy to know his team was able to get through this initial stage of the season without slipping in the way. Real Madrid had to work hard for their result tonight, but eventually they were able to outlast a plucky Celta Vigo side thanks to a brilliant late strike by Toni Kroos. Heading into this matchup after last week's impressive 3-0 victory away from home, Madrid anxiously awaited their home debut expecting to put on a show. But Celta de Vigo would have other ideas making this Saturday evening matchup a real challenge for Los Blancos. The first half was relatively uneventful. Half chances for both sides. 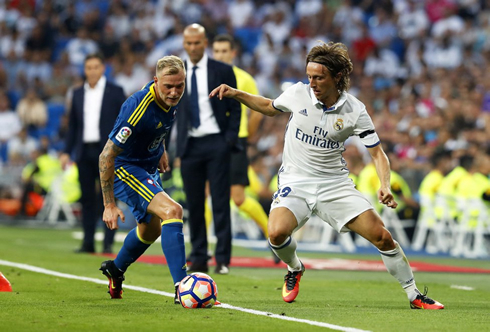 Luka Modric, making his season debut after missing the first game due to injury, was very active with a few long range efforts that tested Celta's reserve. His rocket off the crossbar was probably the most dangerous chance of the half. In the second half, Celta would start brightly again, pushing Madrid and getting closer and closer to goal. Madrid responded well, with Morata in particular having a very lively game. And he would eventually cap it off with a goal. A poor clearance from Sergio Alvarez (one of many for the Celta keeper), fell straight to the feet of Modric. The ball would move quickly and after Asensio close range shot was saved, Álvaro Morata finished the rebound. 1-0 Madrid. Yet just a few minutes later it would be level. Some lazy defending from Madrid led to Celta's danger man, Fabian Orellana, who picked the ball just outside the box. His brilliant shot flew into the top corner stunning the Santiago Bernabéu with the 1-1 equalizer. 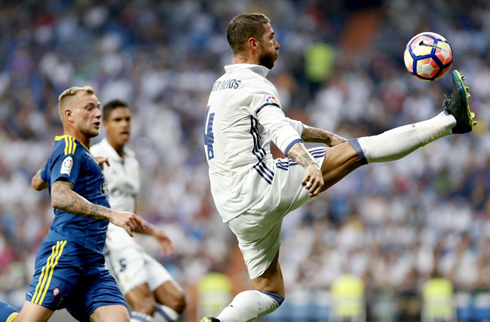 Real Madrid, now pressured, would search for the winning goal but to no avail at first. 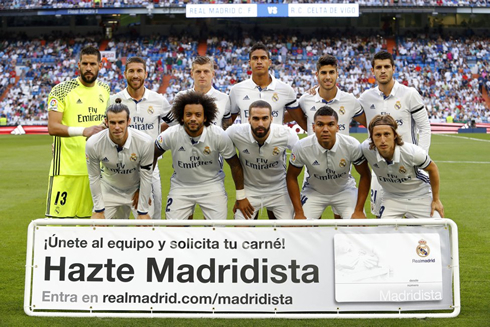 Lucas Vazquez, James and even Mariano were now on, as Madrid kept pushing. High pressure by James would lead to an interception and when Lucas Vazquez centered the ball to an arriving Toni Kroos, the entire stadium knew what to expect. A low, hard, and most importantly accurate strike into the bottom corner. A trademark strike from the German and a much needed one for Madrid. Real Madrid would hold on through the end of the match, but it was a tough one. Still, two games and two wins. Zidane's winning streak in La Liga still goes on and in September, he'll be glad to have Cristiano Ronaldo back from injury! Cristiano Ronaldo next game for Real Madrid is for La Liga on September 10 of 2016, against Osasuna. You can watch Juventus live stream, Real Madrid vs Osasuna, Athletic Bilbao vs Barcelona, Manchester City vs West Ham, WBA vs Middlesbrough, and Sporting vs FC Porto, all matches provided from our football live game pages.